I really felt hopeless and finally gave up. I was ready to get myself checked up by a dermatologist. Enter SkinCell Advanced Aesthetics Philippines. SkinCell is very popular and well-known for being the only Aesthetic Clinic to have the Time Machine Procedure, a non-invasive anti-agin treatment that combines the best and the latest technology that allows the skin to repair itself. I was so impressed with the results I saw on their catalogs! SkinCell is currently the only clinic that is certified by Time Procedure and was even personally trained by its inventor, Dra. Tess Mauricio (who happens to a Filipino-American). SkinCell prides itself with their personal approach. They want to take care of my skin based on what it truly needs. Meeting Dra. Clarissa "Issa"Cellona was the first step. She required a consultation to determine what my skin needs. Also to note, SkinCell follows the strict regulations of Philippine Dermatological Society to assure quality care and results for their patients. It's just how the practice should be, she mentioned. Dra. Clarissa "Issa"Cellona interviewed me and I shared with her my history with previous dermatologists. When she asked me if I was ever diagnosed with polycysistic ovaries, I was surprised. She noted that I had all the manifestation of PCOS and it could be the reason why I was still having cystic acne to this age. And I do! I was diagnosed with PCOS back in 2006 and though most PCOS disappear upon giving birth, it's not the same for me. Til now I have polycystic ovaries and never did I ever think my acne was because of that. Her extensive time in San Francisco exposed her to different types of skin and so she was able to pinpoint the suspect for my adult acne. She told me not to feel bad using a lot of makeup and skincare due to the nature of my work. 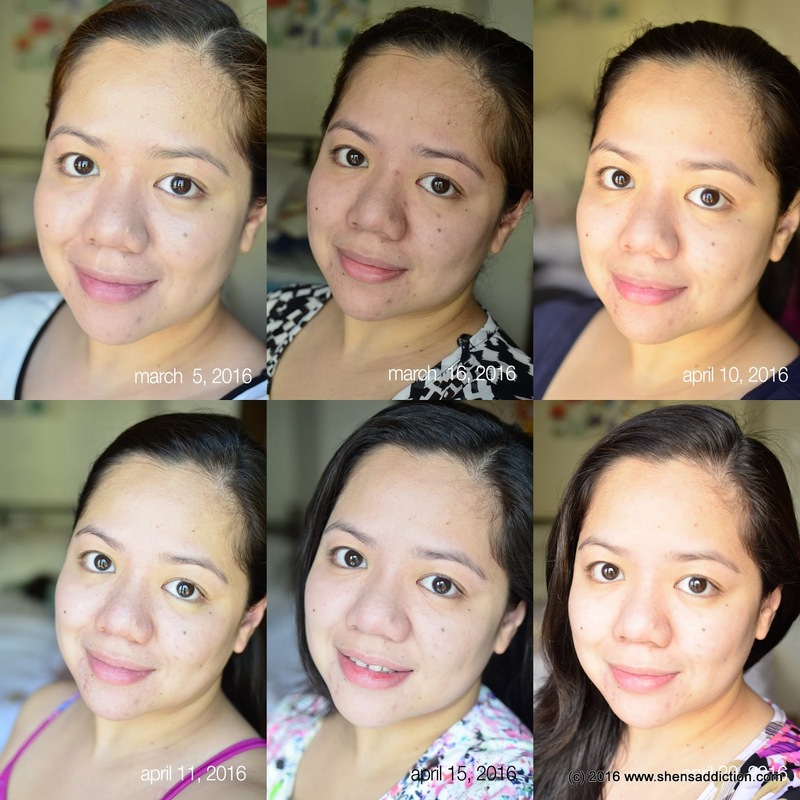 I just need to give my skin extra love and care with my PCOS condition. That means, eating right, having a healthier and a more holistic lifestyle along with skin rejuvenating treatments should be enough so i can enjoy my beauty blogging work. She also considered my budget along with my schedule. As much as she can, she tries to work with her parents to give them the care that would result to great skin. But being a doctor, she needs to be strict in order to give them the results they need. "Let's deal with your acne first." Dra. Issa said. She recommended that I get the Acne Control facial to deal with my existing acne. It's a cleansing facial combined with acne surgery to get rid of existing pimples, blackheads and whiteheads. For large acne, it will also require injections to help lessen inflammation. "Then we will proceed with Black Diamond Treatment." She added. This is the beginning of my skin rejuvenation that is inconjuction with my Acne Control Treatment. I was ooh-ing and aah-ing in my head when Essie, their Marketing Head, explained to me that Black Diamond is a laser treatment they do for their patients with acne-prone skin. It helps tighten pores, reduce oiliness and lighten dark spots and helps with preventing fine lines and wrinkles. It also helps with healing existing acne. It's one of their best-selling treatments because like me, most Filipina skin concern is acne prone skin. It very popular for it no downtime results! For someone like me who loves skin care treatments, these words sounded like manna from heaven! "Uses a Q-Switched Nd:YAG laser. It is normally recommended in treating acne prone & oily skin. This treatment is a non-ablative skin rejuvenation procedure that instantly smoothens the skin and keeps oil production at bay. Other benefits include: wrinkle, pore reduction & firming of the skin. We initially recommend a series of 4 treatments, with intervals of 2-6 weeks for maximum effectivity. Treatments take about 30 minutes." Black Diamond Treatment procedure is one of the fastest laser treatment's I've tired. After applying the carbon mask that helps the laser remove the skin's impurities, the Black Diamond treatment will begin with the first initial run of the laser. It will take 3-4 passes depending on the need of the skin. Then the second and last step is the removal of the carbon mask using a different intensity of the laser machine. The experience is not as painful as I thought it would be. The only parts that I felt pain was around the eye are and sides of the nose. Other than that, the procedure was pretty much tolerable and definitely worth it. Laser treatments are known for it's instantaneous effect, you'll definitely feel it the next day. But the bonus thing about Black Diamond is that it has no downtime! I've done Fraxel before and it's really painful. If I am to rate both, I'd say Fraxel is 9 (10 being the highest), while Black Diamond is 4. Black Diamond is not that bad to endure compared to Fraxel. With Black Diamond you don't have to hide for the next 3 to 5 days! No redness and definitely no severe peeling! Though chemical peels have a special place in my heart, I am now a convert especially after reaping the effects from Day 1. This is the result shortly after the procedure! No redness! First time I had an acne facial that my face didn't suffer from extraction. Naturally it's red on the parts where I had the acne surgery for my cystic pimples but I was definitely in shock to see that my nose, cheeks and forehead were smooth and mark-free! Super happy about this. I posted this photo on Instagram and a lot of my friends were also impressed. Below are the progress of my skin, from before I had my Acne Control Program and Black Diamond Laser Treatment, to days later after the procedures from Skincell. lesser sizes on the pores. Dra. Issa recommended I do a series of Acne Control and Black Diamond. After which she will begin the full blown skin rejuvenation my 30 something skin needs. I'm very happy with SkinCell. The service, the care, and the work ethics of the people. Though quite far from where I live, I wouldn't mind travelling to Manila for a treatment that really works. I'm done neglecting my skin. With that one visit, I was able to regain my confidence and was able to do more work than I ever did the past few months. Black Diamond is also great for lightening any part of the body like the underarm. I'm looking forward to raising a white underarm soon! Do take this SkinCell journey with me! Will be updating you with my progress here on the blog! And you can also follow them on Facebook and Instagram. Thank you sooo muc, Essie, Dra. Issa, Mayet and the rest of SkinCell Manila! You are awesome! and oh! They also did this to my underarm!